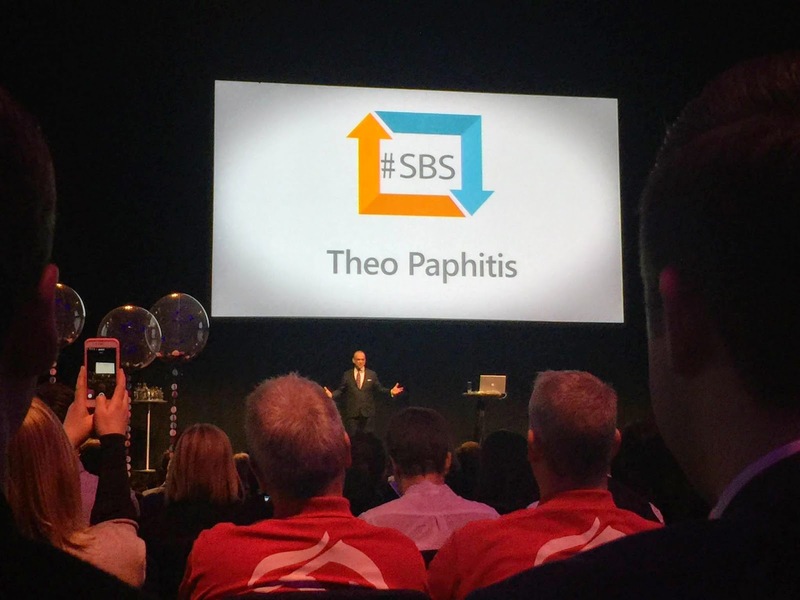 Well it finally feels like we have caught our breath after an incredible day at the Theo Paphitis SBS event on Friday 30th January 2015 at the ICC in Birmingham. Going to these types of events is never easy when you have three little ones - 5 yr old, 3 yr old and 18 months. 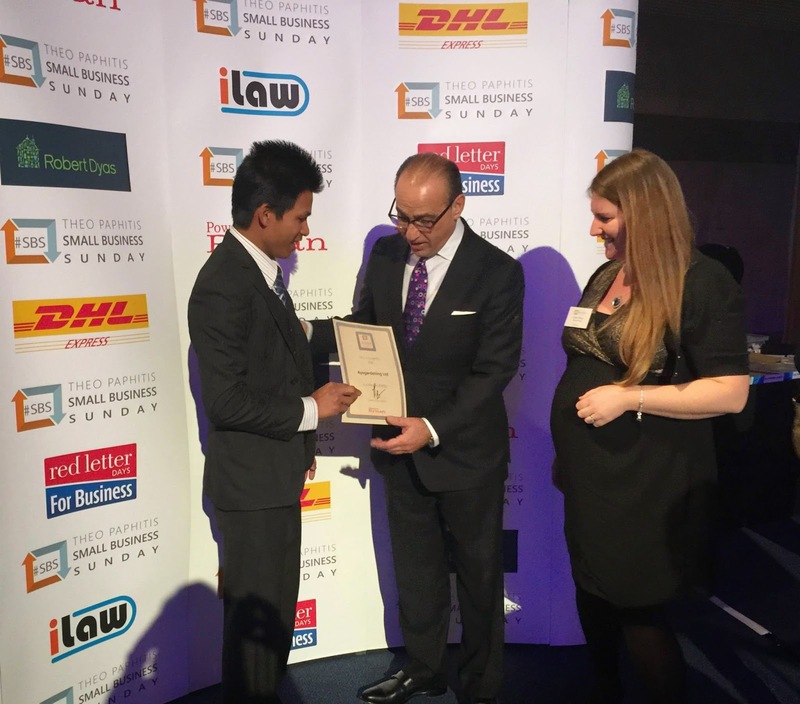 But we knew we just had to attend this one as we had won an award and couldn't wait to listen to Theo Paphitis' inspiring talk and meet him in person to receive the award we had won from him. 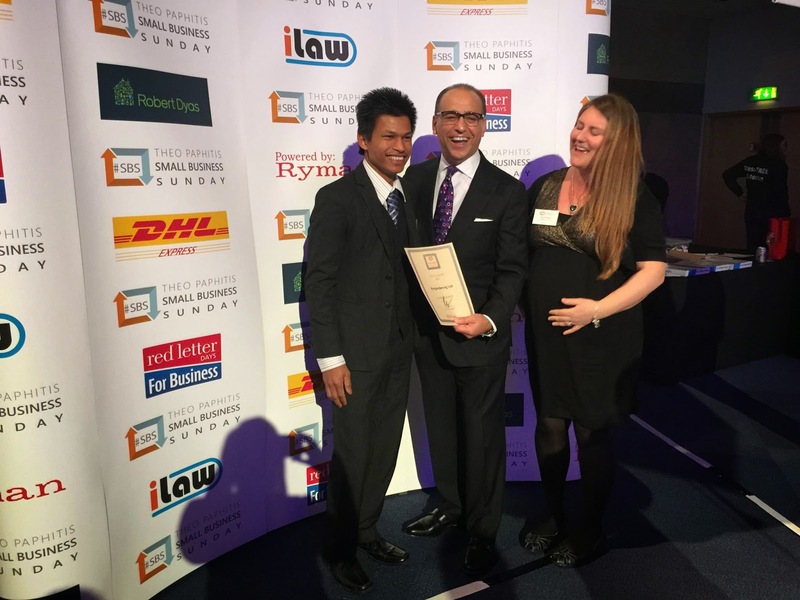 For those of you who don't know who Theo Paphitis is, apart from being well known for his appearance on Dragon's Den, he is the co-owner of Red Letter Days, chairman of Ryman the Stationer, owner of Robert Dyas and Boux Avenue. 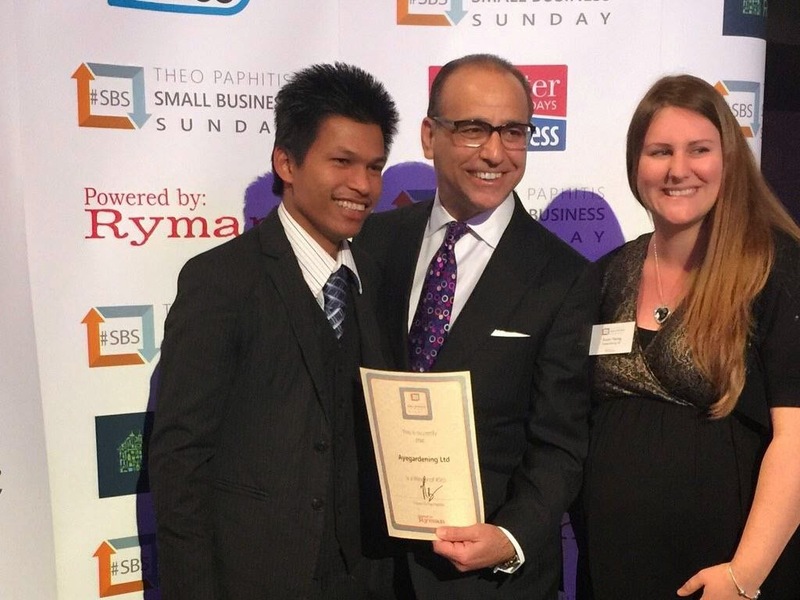 Theo is also a passionate supporter of small businesses. 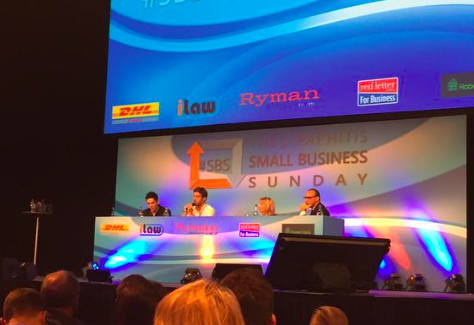 He created the award #SBS in 2010 and says: "I admire people who have passion and energy. If you cannot bore your friends to death about your own small business then something is seriously wrong. 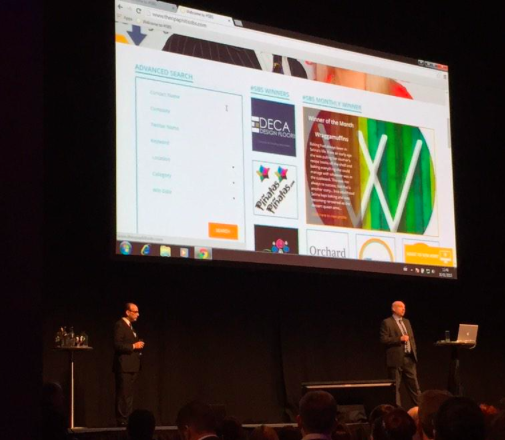 I was struck by the number of business owners on Twitter who wanted to tell me about their new products and services. Small Business Sunday was born so that people have a specific time slot to tweet and can pitch their 'sell' directly to me." Sunday is when Theo says he does a lot of his thinking and planning the week ahead. So it is the perfect time for businesses to have a clear idea of who they are and what they want to achieve. 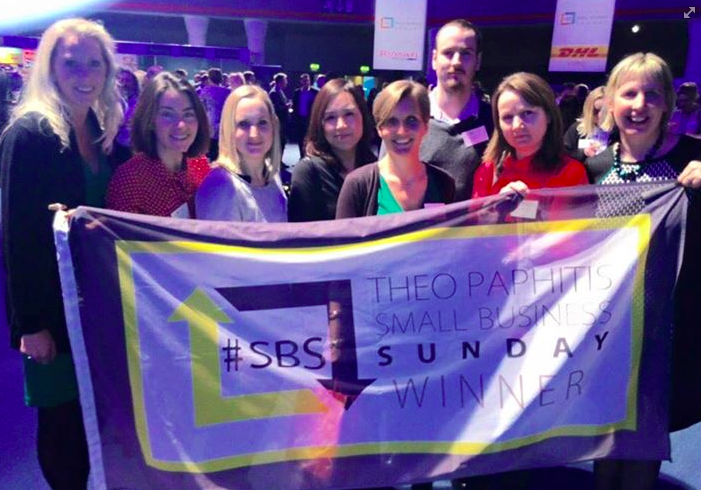 The SBS event is the yearly event when the new winners get to meet Theo and receive their certificates. It is also a chance to network with the winners from current and previous years and listen to inspirational business owners and Theo himself. 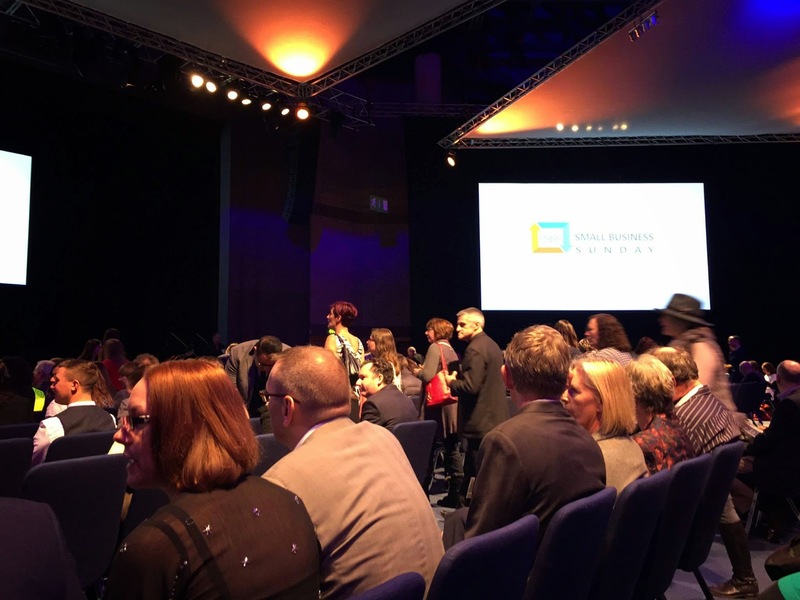 The easy bit was getting here, the hardest bit was walking into a room full of people and knowing so many names... but not knowing their faces! We went straight to the orange juice and water as we were very thirsty after the 3 hour journey- not that long really. For ages it felt like we just stared at name badges hoping to recognise someone. 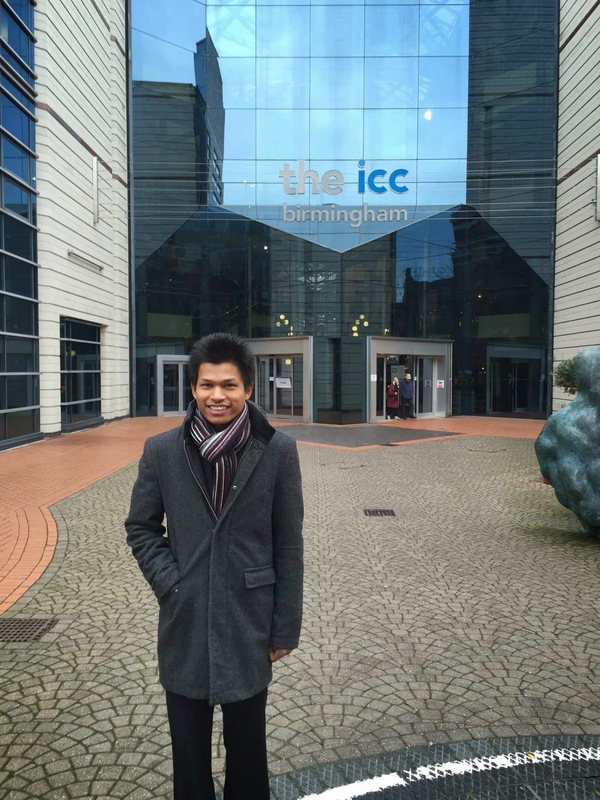 The first person we met was James Kimbley, a specialist in cloud computing and IT support. It was nice to chat to someone and it made us feel more relaxed. James said Aye was the best dressed landscaper that he had seen! Next we went on a walk around and bumped into Ioan from Slate Wine Racks and Slate Water Features. It was great to meet Ioan as he had won the same week as us. Seated and can't wait for the event to start! Rather than recount the whole talk- which would be good- but would take a while! I thought it best to write the 3 key points that we picked up from Theo. 3. Shout about your business from the rooftops! He's here and what a funny and down to earth gentleman he was. The new SBS website, made by Metalfrog, was unveiled introducing some new changes and a far greater impact on SEO- which is great for us small businesses! No photos of this! haha - Aye and I went straight for the food and even forgot we were meant to be in a photo of Surrey SBS winners! But here is the photo anyway (funny thing was we were sitting right in front of them, thinking - oh I wonder what they are up to with the flag!) I blame my pregnancy brain and need for food!! 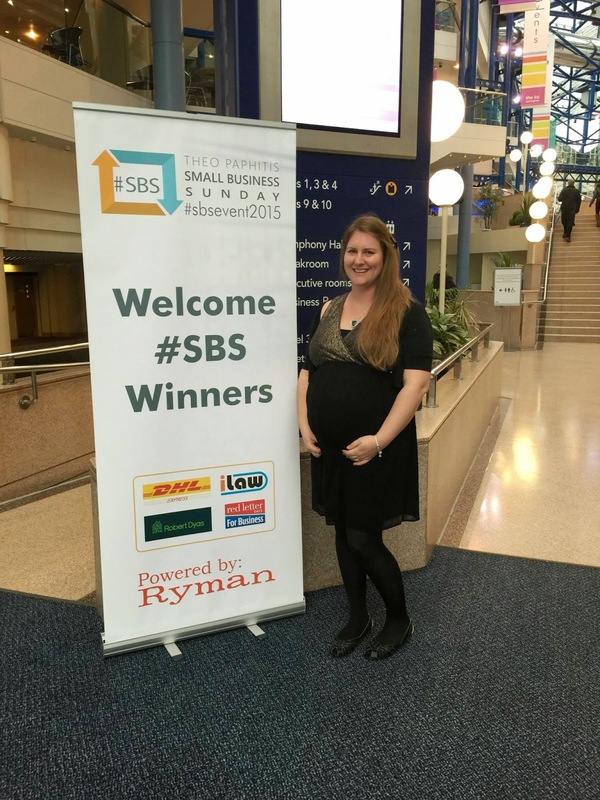 There was some more time to network at lunch which was great as we met the lovely Kerry and her partner from Papier Bouton and we also got to meet the most local to us #SBS winner Debbie and her son who make beautiful rocking horses: Jolly Rockers. We also got to meet the lovely Kim from Welsh Royal Crystal who has supported us from the very beginning of our time on Twitter. She was quite amazed at Aye's spiky hair! We sat with Debbie from Jolly Rockers while the question time session went on. 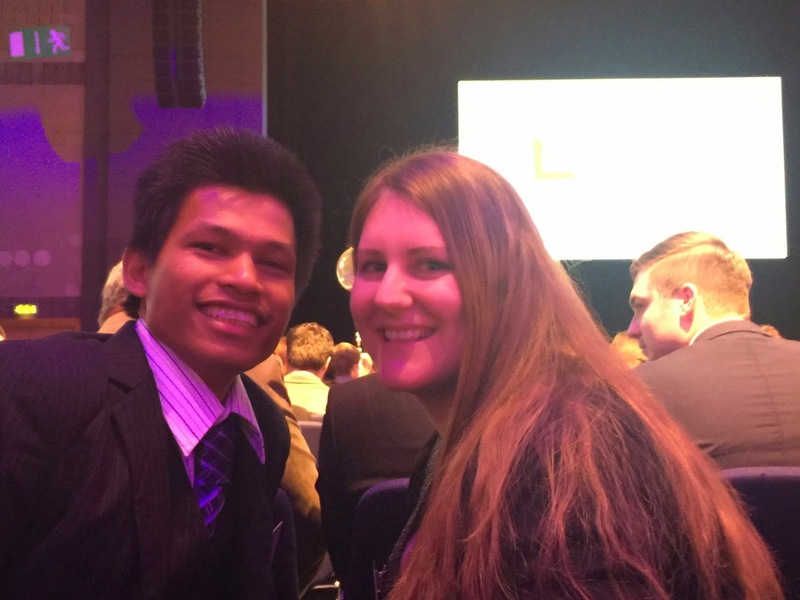 It was nice to have someone to smile with and tweet next to haha! 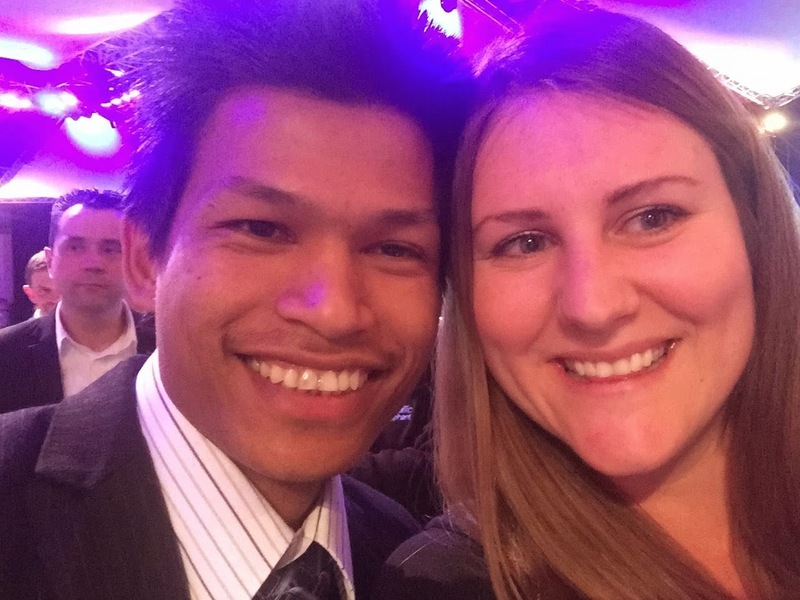 Don't just look at CVs when employing people, sometimes it is good to go with just those you would get on with. Very few business ideas will be brand new, take something and do it better. You don't always need a mentor, you know your business the best- you know what works and what doesn't. It's time to meet Theo! Then the moment arrived to meet Theo and collect our award. The queue felt like it was going to last all night but we met some lovely people in the queue that we hadn't managed to bump into yet. 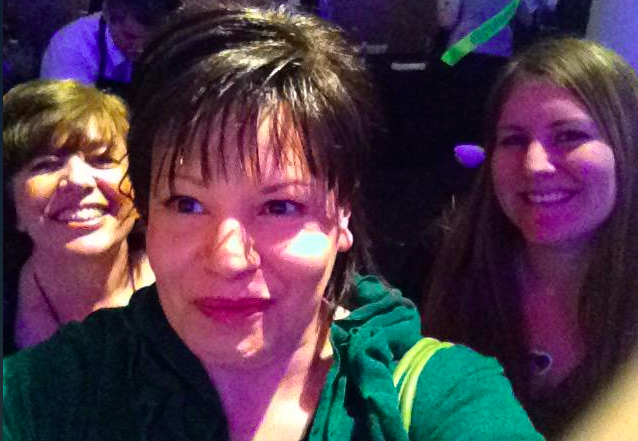 We met the lovely Sarah from Lilac Dragonfly and Sue from Let Me Learn . Watching Sue's jaw drop when I told her we had a 5yr old, 3yr old, 18 months and another due in 10 weeks, was so funny! She was literally gobsmacked. Sometimes I don't know how we do it all, but we do have a lot of fun in our house and our children know at even such a young age what mummy and daddy do to earn the pennies. Just before it was our turn to see Theo we met Darren from Sommerville Stone, shame we didn't have longer to chat to him as we hadn't met many landscaping related businesses that day. And then it was our turn.. and my head turned to mush and it felt like talking to someone you already knew, he made us laugh quite a lot and I can't remember why! But it was something to do with me being pregnant and having little kiddies. A cheeky chap! Theo making a joke about our many children! We felt like we were walking on air! To be chosen by Theo was enough, but for him to say well done and keep up the good work was the icing on the cake. 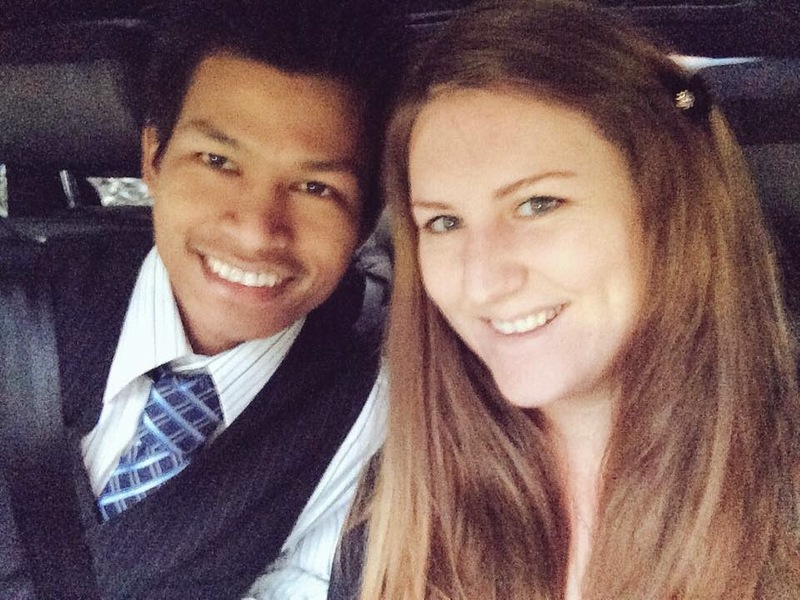 We felt exhausted from the day, well I definitely did with my broken toe and huge baby bump! So we picked up our goodie bag and made our way to the car park smiling all the way. Can't believe it! The day was such a dream. 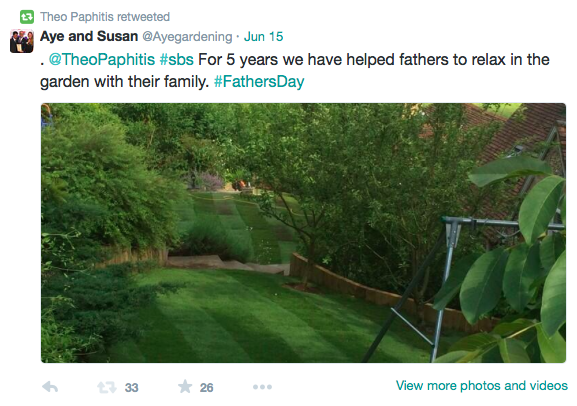 So what's next for Ayegardening in 2015? We have so much planned, but as Theo says growth must be planned so we are trying to grow sensibly and not too fast. 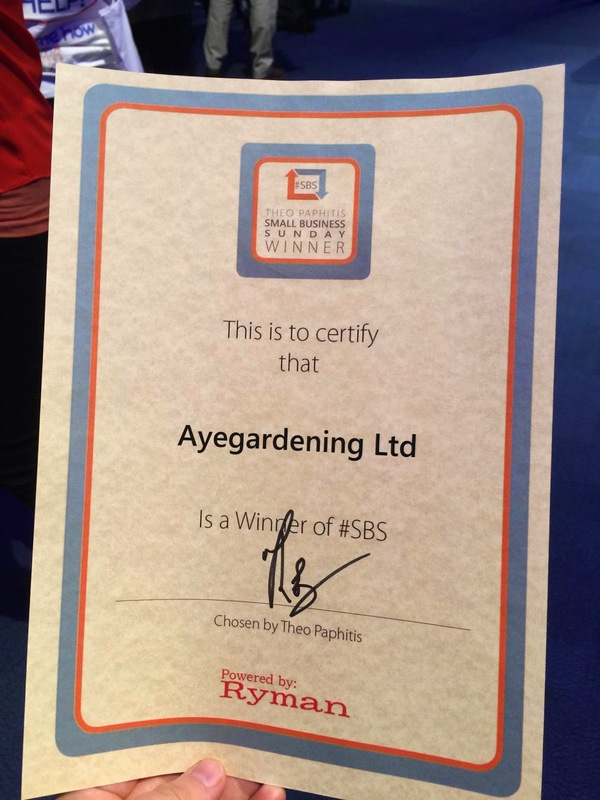 The biggest change to this year is that we have taken on a landscape manager who will bring skills of brickwork, hard landscaping and driveway expertise into our business and we look forward to bringing new services to our customers this year thanks to his knowledge and skill. So watch this space! !